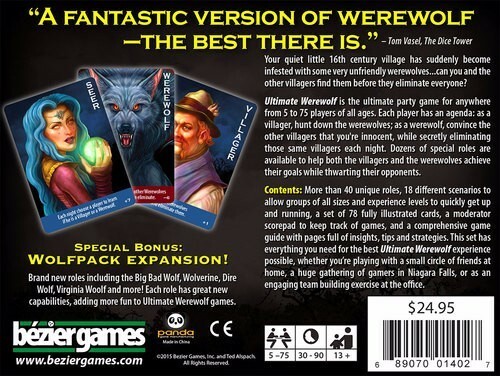 Ultimate Werewolfis an interactive game of deduction for two teams: Villagers and Werewolves. The Villagers don't know who the Werewolves are, and the Werewolves are trying to remain undiscovered while they slowly eliminate the Villagers one at a time. A Moderator (who isn't on a team) runs the game. 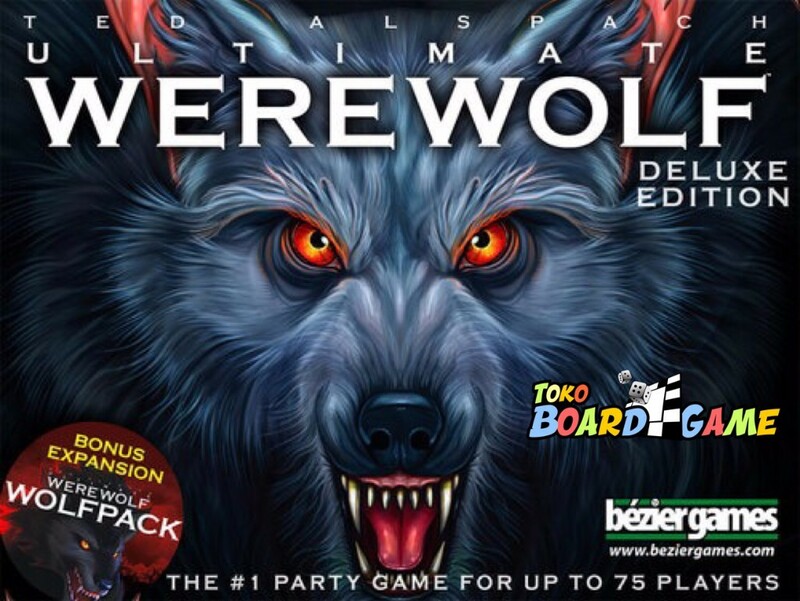 Ultimate Werewolftakes place over a series of game days and nights. 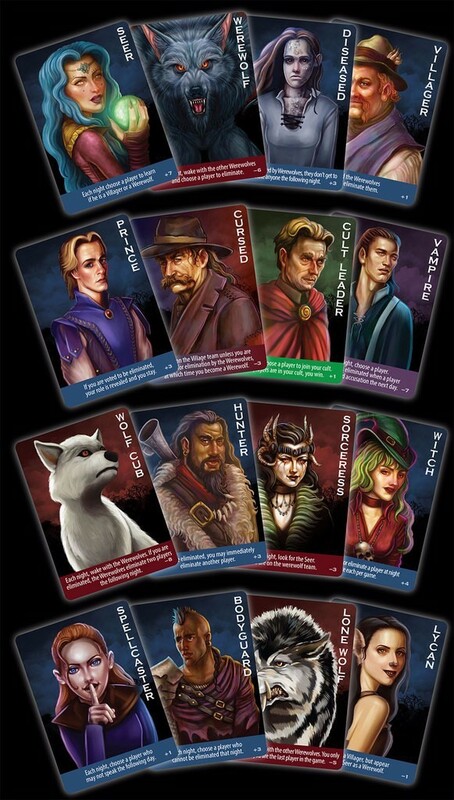 Each day, the players discuss who among them is a Werewolf and vote out a player. 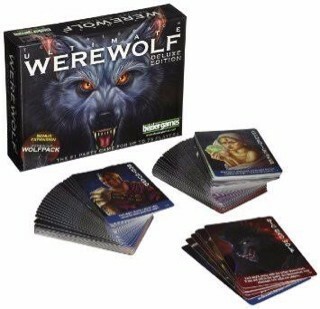 Each night, the Werewolves choose a player to eliminate, while the Seer learns whether one player is a Werewolf or not. The game is over when either all the Villagers or all the Werewolves are eliminated.